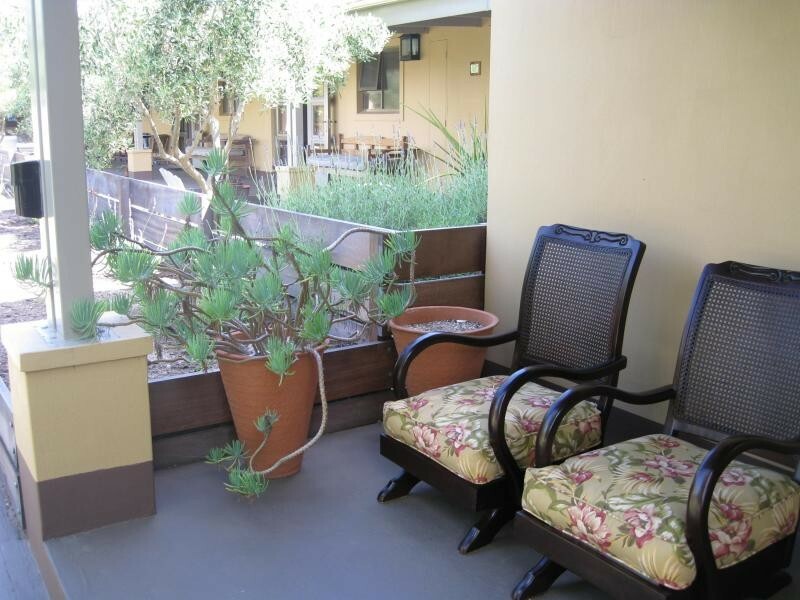 Schulphoek Seafront Guesthouse is a 5-Star establishment situated on the beautiful Schulphoek Bay, a protected sanctuary with spectacular sea views, a favourite spot for viewing Southern Right Whales from June to early December. 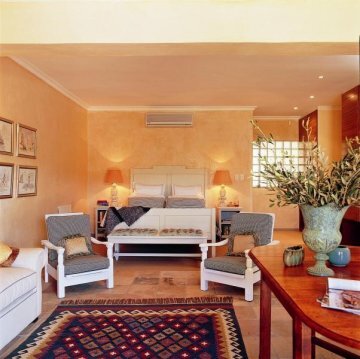 Minutes away from Hermanus town centre and within one hour of Cape Town International Airport. Attractions nearby are diverse and offer unique experiences. Come and relax in the stylish atmosphere where an eclectic mixture of old and new finds Africa merging with the sea. From the couches in the lounge, one can enjoy a spectacular view of the whales frolicking in the bay, or devour a good book and relax. Schulphoek Guesthouse is well known for its delectable food, with fresh herbs and vegetables organically grown in the potager. Fresh seafood and in-season shellfish as well as venison are our favourites. Our professionally appointed Lacanche kitchen is staffed with a talented local chef, who will happily create a menu around your tastes and preferences. Join us for a four-course dinner - menu du jour, served at our social table, in our seafront dining room. All of this is complemented with a collection of over 7000 bottles of South African and French red and white wine. Enjoy an espresso or cappuccino whilst simply indulging in lazy days of sun and delicious cuisine. We offer small conference facility & an intimate wedding venue. There are seven double rooms, all en-suite, spacious and uniquely decorated. From large garden bedrooms with private entrances to the newly wed's favourite a first floor suite with large sliding doors opening to spectacular sea views. Generous modern bathrooms enhance the comfort offering exclusivity with subtle touches of luxury. Choose from Superior, Standard and Family rooms.